The family of Tom Longboat show their acknowledgments of the articles, multi-media, publications, databases, videos, etc. of Tom's achievements. 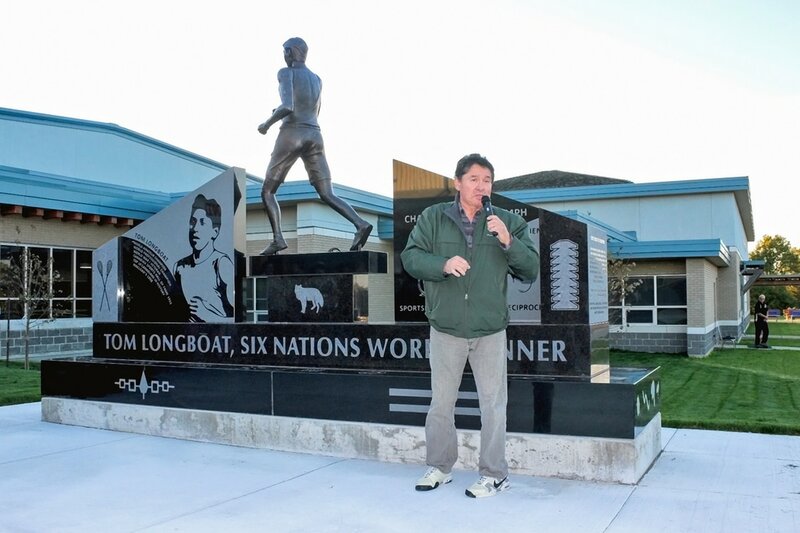 The Statue can be found between the Six Nations' Community Hall and Gaylord Powless Arena, and in front of Dajoh (Six Nations Youth Center).